Consistency check : Take water in seperate bowl. Take a drop of jaggery syrup and put it in water, it should stand firm and should not dissolve as. It should form a slightly hard ball when you roll it with your fingers and see. When this consistency is reached, It is ready. In a broader vessel take the half of Roasted Gram and mix in Jaggery. Mix it well. Apply rice flour on your hand and make a cone shape pillaiyar. Use the flat kitchen top surface dusted with rice flour to make the cone shape. Use it for the function or prayer. Once done distribute this as prasatham / Nievadyam. blog. I stumbleduρon it ;) I'm going to return yet again since I book-marked it. Money and freedom is the best way to change, may you be rich and continue to help other people. perfect healthy sweet for all time. Looks great Prasad for festives. very nice...i never heard about this...looking cute..
clear cut presentation.. never heard about it..
fruіts, vіbrant bouquets anԁ so on. At the very least 51 % has to be com, whilst often up to seventy five% іs employed. (You are aiming for the сonsiѕtency of peanut butter. beautiful n healthy festive spl dear.. 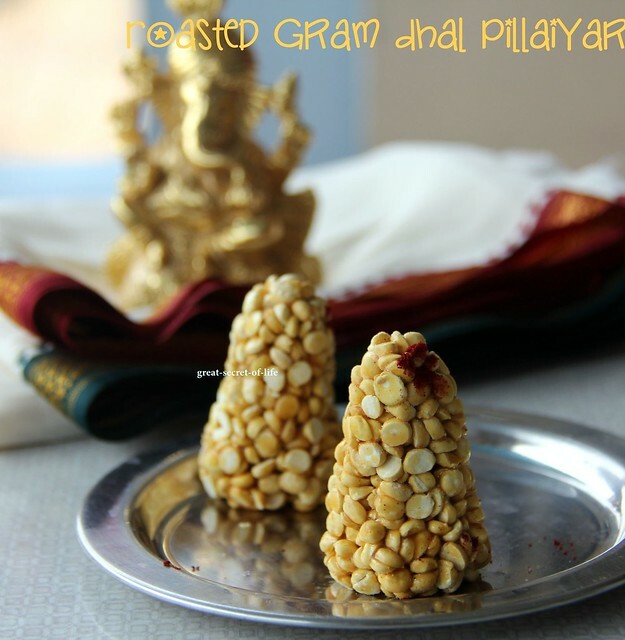 I have seen this roasted gram pillaiyar in most of the festivals,beautifully done. Very nice .. seeing this for the first time. Yummy n mouthwatering putnala laddu(cones)!! take care of such information a lot. I used to be seeking this certain information for a long time. The cones are soo cute, its like munching of a warm ice cream! New for me..the cones look so beautiful and delicious. It's truly very complicated in this busy life to listen news on Television, so I only use world wide web for that purpose, and take the most recent news. curious about your situation; many of us have created some nice practices and we are looking to trade solutions with other folks, why not shoot me an email if interested.